The input can receive only the digital input to perform the control and transmission of the temperature, moisture, pressure, flow level unit and so on. It has well-featured and compact design with 8 point input and 4 point output. Equipped with expansion module, it can be expanded into 82 I/O better ,and to MAX 122I/O.It can be connected with telephone voice module and remote control module to perform the notification and alarming function. 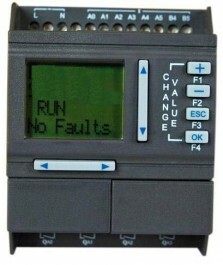 And the connection between the host and the module can be Bridge or flexible connection.